that forced his retirement to stud. Skywalker Puma went out in the 2014 Irish Derby first round. In June it was confirmed that Boylesports bookmakers would sponsor the Irish Derby for the next three years, starting with 2014. Chairman of the Bord na gCon, Phil Meaney, Minister for Greyhound racing, Tom Hayes, and Boylesports owner, John Boyle, gathered with Greyhounds - Boylesports Hero, Locnamon Birdie, and Droopys Nidge - to launch this years Derby: a Derby that would give the industry a brief rest-bite from the recent 'review of certain matters relating to the Bord na gCon'. After news that Skywalker Puma would be used again, a 'gamble' was decided on the use of Greenwell Hulk suffering with a tendon injury in the toe, but he was soon withdrawn, becoming 'the first major casualty' of the Derby. So other 'major' casualties were to be expected? Boylesports Hero, wearing a bandage in the Derby launch, owned by John Boyle, owner of Boylesports, suffered with a broken hock in the first round - stunning the crowd to a 'silence'. Droopys Nidge being 'very sore...in his lower back and neck' continued to be used into round three, of the Derby. Trainer Robert Gleeson admitted he probably would not have been used 'if it wasn't the Derby'. Unlike Droopys Nidge, Surely Bassi was withdrawn after round three - suffering with a neck injury. Holdem Spy, who suffered in the 2013 Irish Derby with a 'hairline hock fracture', sustained a toe injury before the 2014 Irish Derby began, but his training work was 'stepped up' and they were 'going to give it a go'. Ballyana Foxtrot was bumped and stumbled at the first bend - screaming out of round four, but he was used again in race three on the Derby Final night(13th September). There may well be further injuries sustained and not obviously suspected from the race results, such as was highlighted with Vanrooney(not used in the Derby - he has not been used since 19th July). Kisses for Cloda suffered in a trial for the 2013 English Derby with a 'hock injury' - there was a gamble on the further use of him into the 2014 Irish Derby. Kereight King withdrawn from the 2013 Irish derby suffering with a 'serious toe injury', was gambled for 2014 Irish Derby €125,000 prise. The 2014 Irish Derby would see Pat Curtin enter Kereight King and Whizzing Archie - despite the doping scandal of Kereight King and owner/trainer Pat Curtin in the 2014 English Derby, and the doping scandal of Shelbourne Aston(winner of 2008 Irish Derby), where Pat Curtin was 'severely reprimanded' and fined £850 by the Greyhound Board of Great Britain for a positive sample given by Shelbourne Aston at Wimbledon in 2009. The 2014 Irish Derby would see breeder/trainer/owner PJ Fahy enter Tyrur Sugar Ray and Tyrur Nathan. Tyrur Nathan the son of Tyrur Sugar Ray was born in 2012. Tyrur Sugar Ray the son of Top Honcho was born in 2010. Top Honcho was born in 1993 and died in 2007. Under the Artificial Insemination of Greyhounds Regulations 2005 both Tyrur Nathan and Tyrur Sugar Ray were unlawfully conceived, and registered, and used for racing. 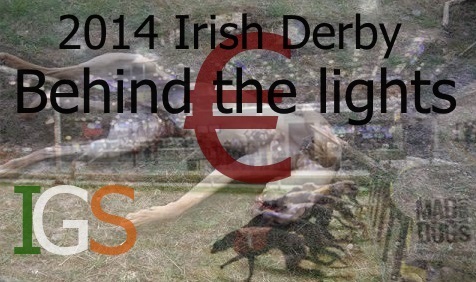 The ongoing breach of the Artificial Insemination of Greyhounds Regulations 2005 in Ireland was highlighted in June by Irish Greyhound Spotlight. Regulation 14 'Death of a stud sire', sets out that: (6) No person may lawfully implement or be involved in the implementing of a frozen insemination procedure where the stud sire is known, or could on reasonable enquiry be known, to that person to be dead for more than two 2 years. 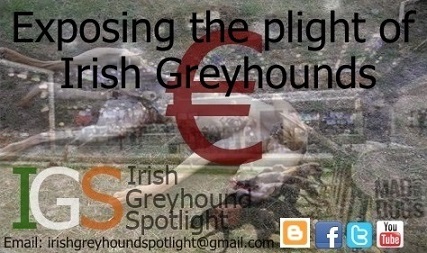 Please don't support the Irish Greyhound Industry.